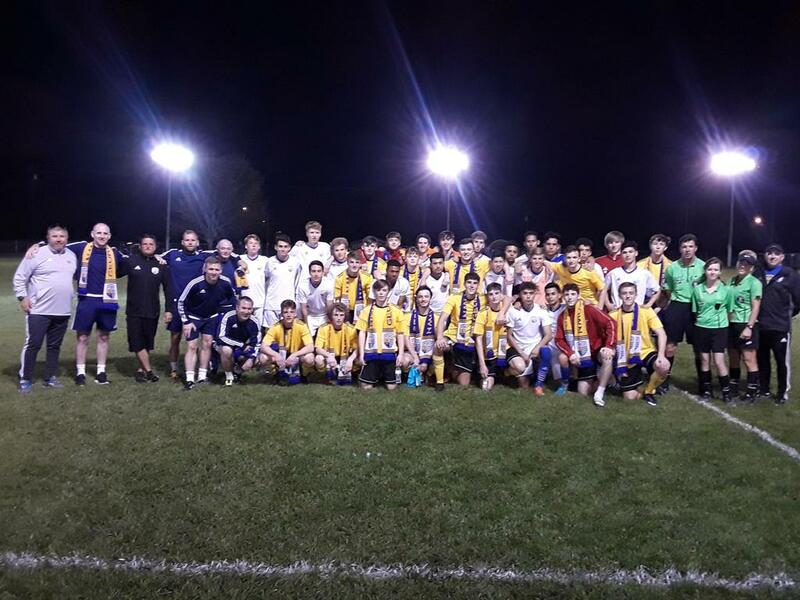 Special Thanks to U19 Knowsley Youth! 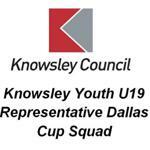 Wishing the U19B Knowsley team all the best on their way to the Dallas Cup! 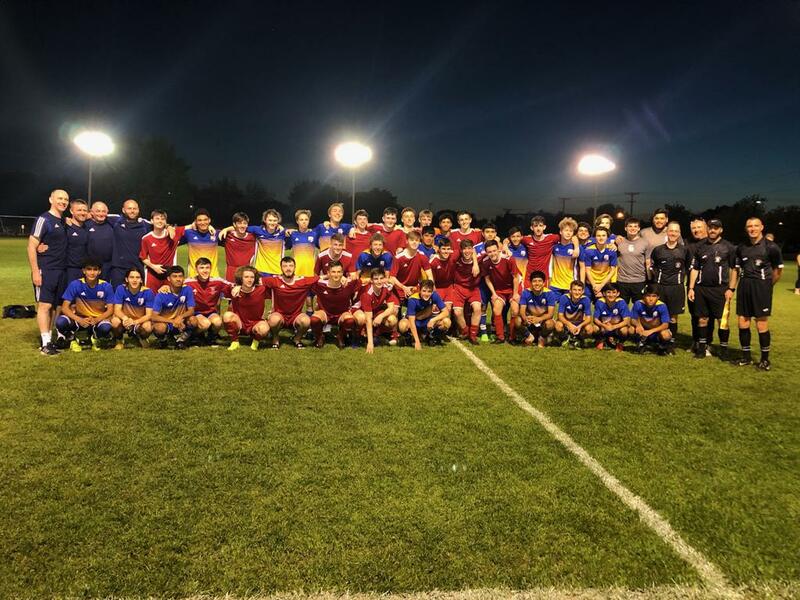 We thank everyone involved for continuing these friendlies with our Force Senior team(s) over the years! 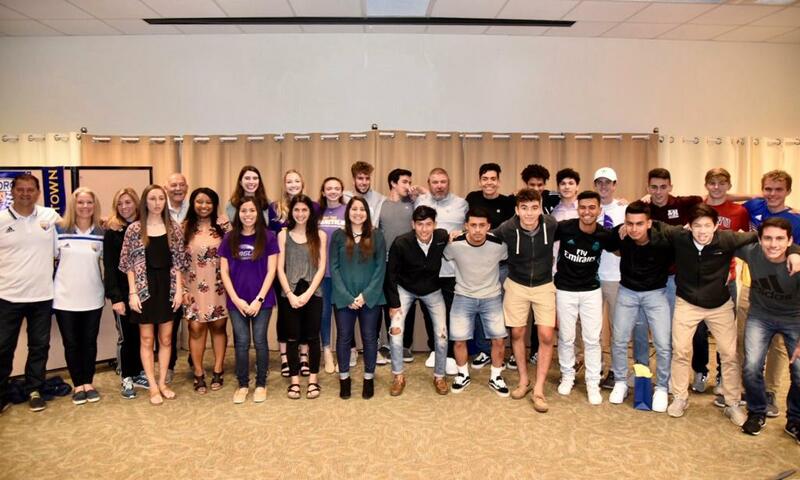 We look forward to having you again next year and wish you all safe travels back! 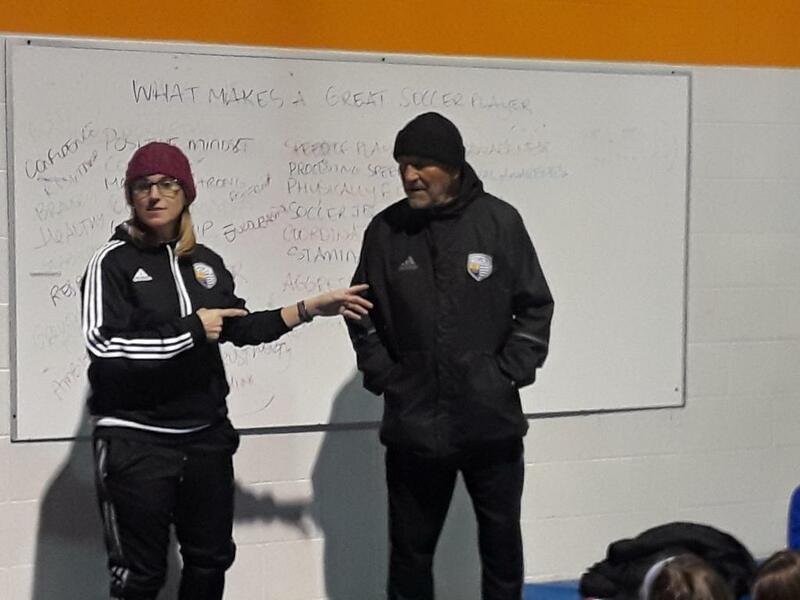 Many thanks to US Soccer and STYSA for instructing our Force Academy and Select Staff Coaches on the NEW Grassroots Licensing Course held at Texas Elite Indoor. 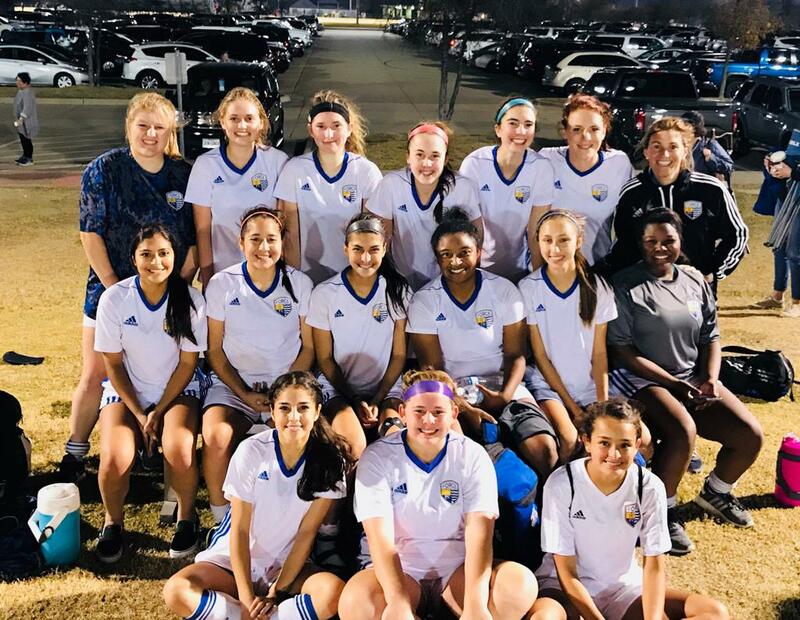 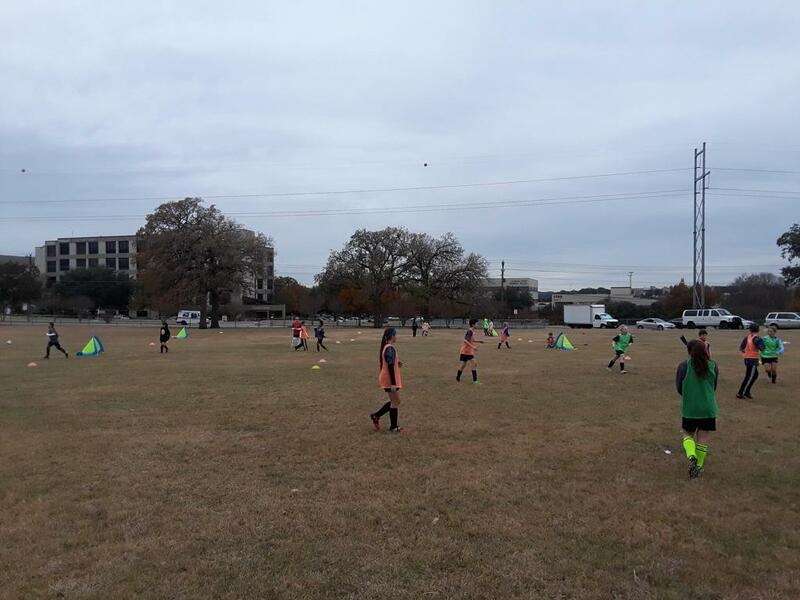 Special thanks to US Soccer Instructors; Kathryn Balogun, Ken Ewell & our very own Academy director and staff coach, Jon Gardner for instructing this course and helping our staff become better at what they love to do - COACH! 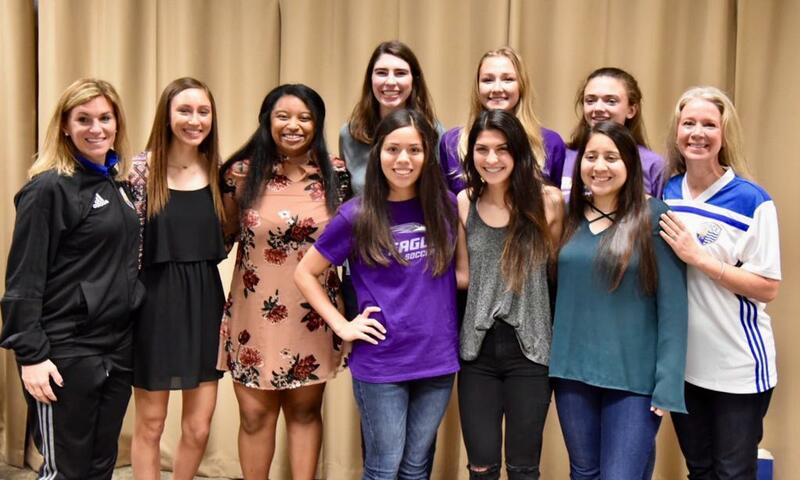 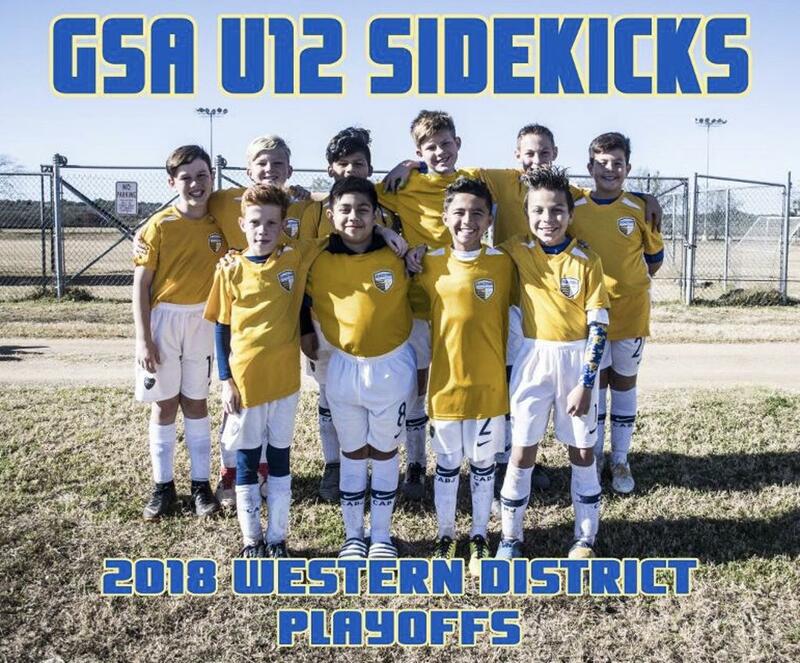 Congrats to these GSA Teams! 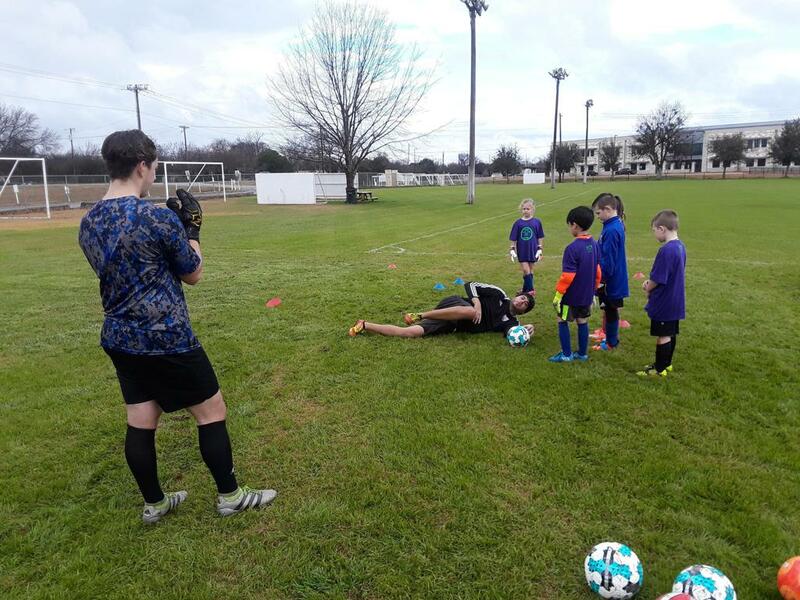 FUN TIMES at GSA REC CAMP!!! 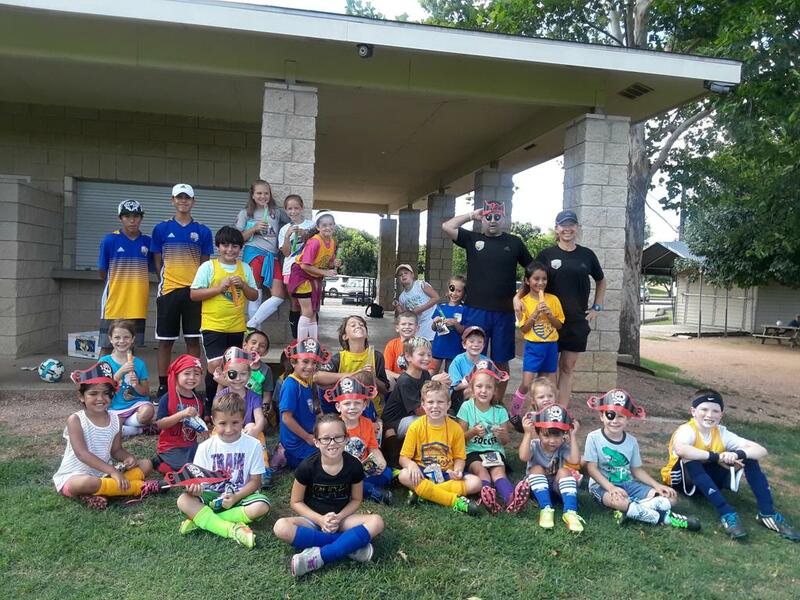 Thanks again for another fun filled GSA REC Camp week at GSA! 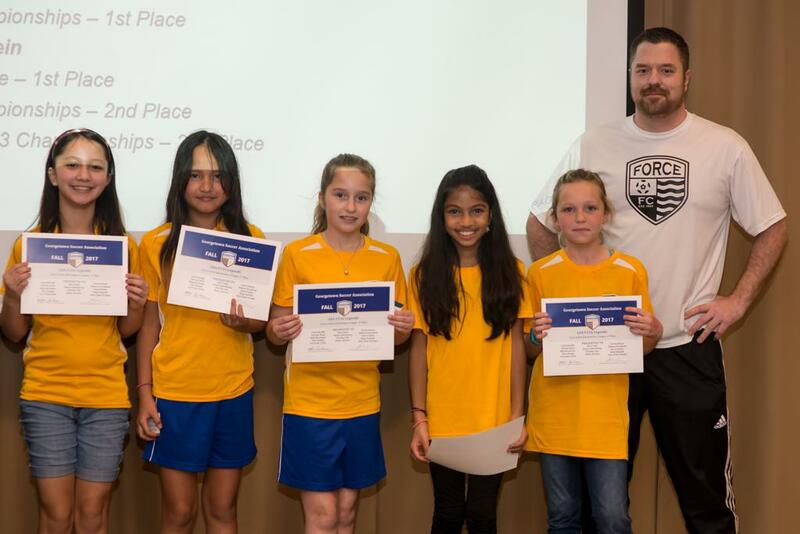 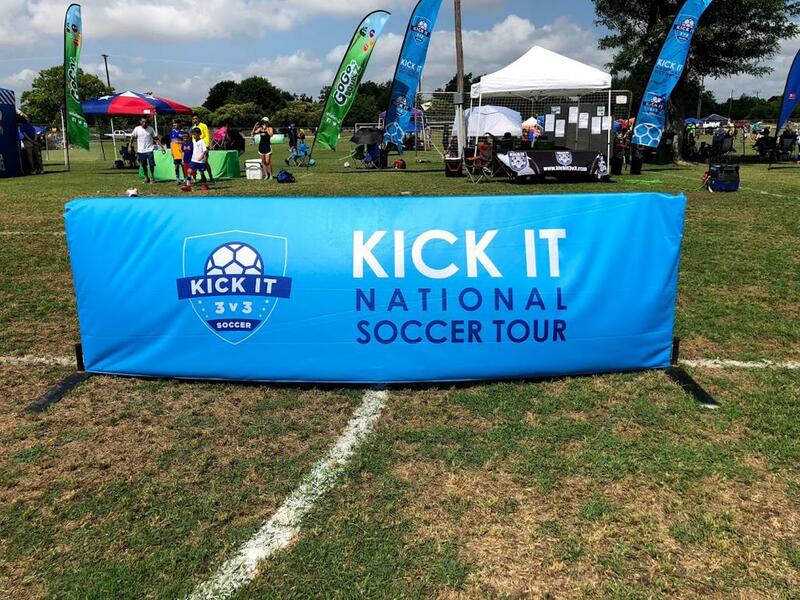 Kick It 3v3 Soccer Tour Comes to Georgetown! 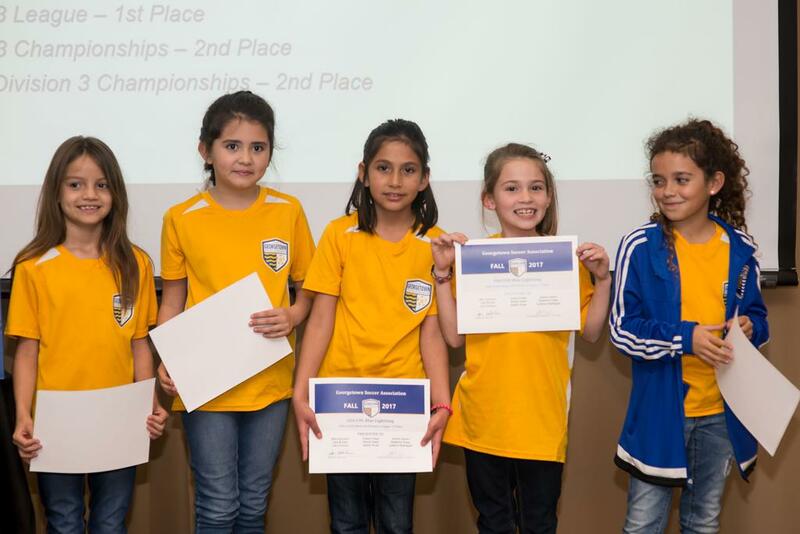 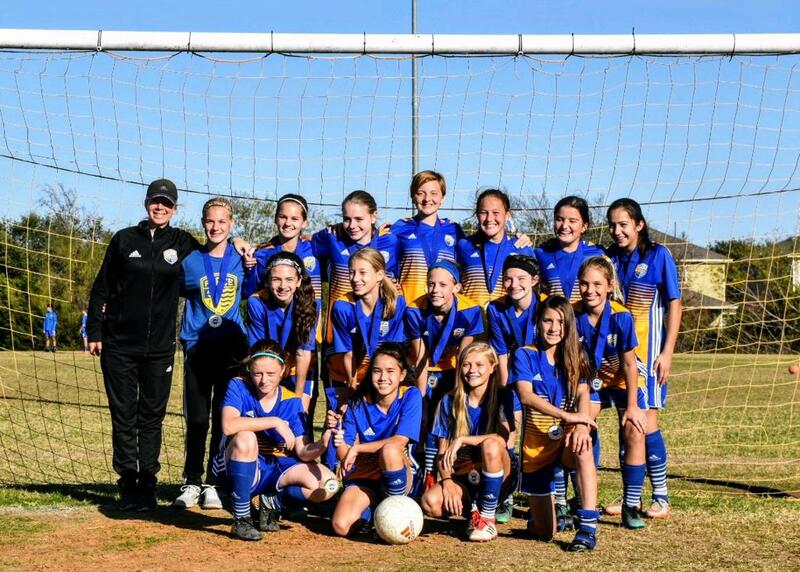 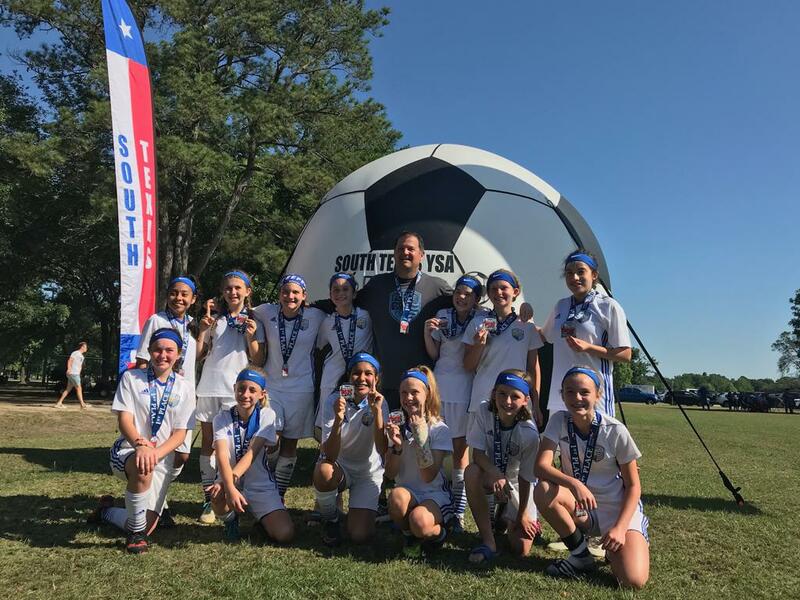 Congrats to our Force FC and GSA Teams! 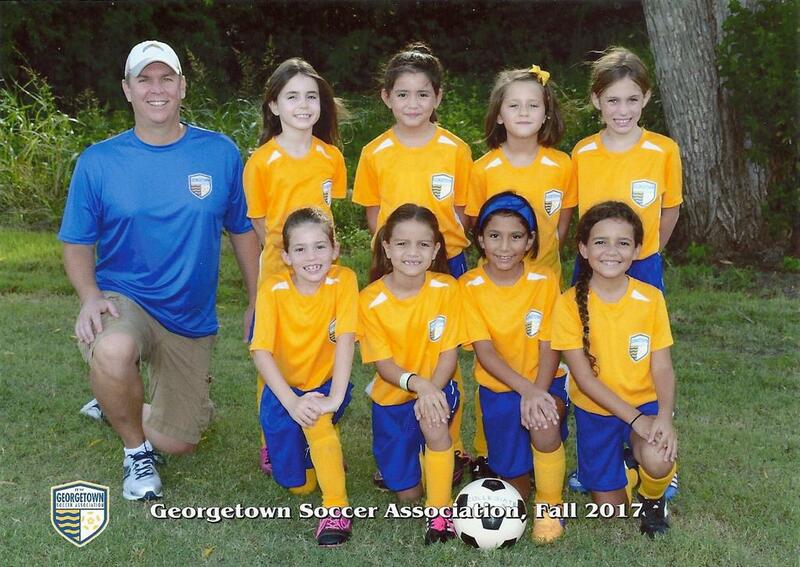 GSA Rec U4 Super Stars! 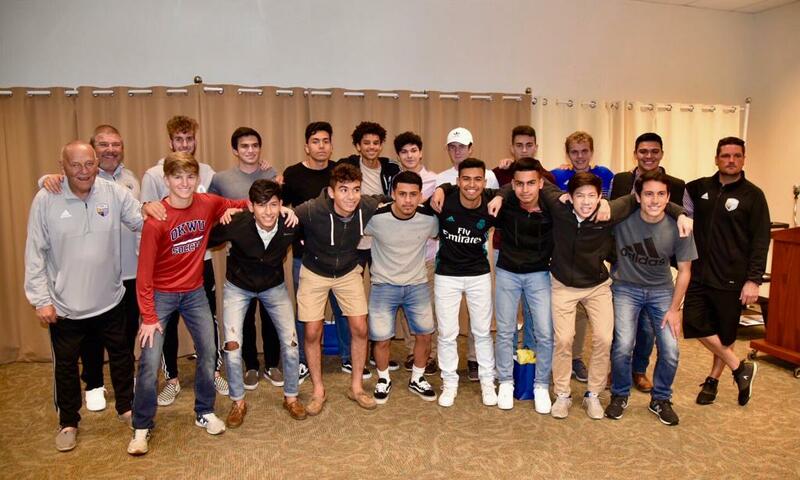 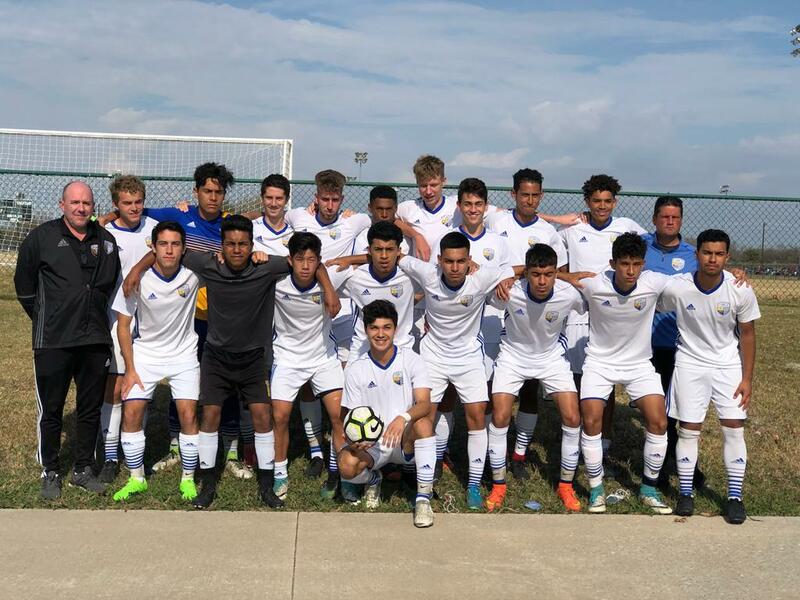 Congratulations Force FC 2018 Graduating Seniors! 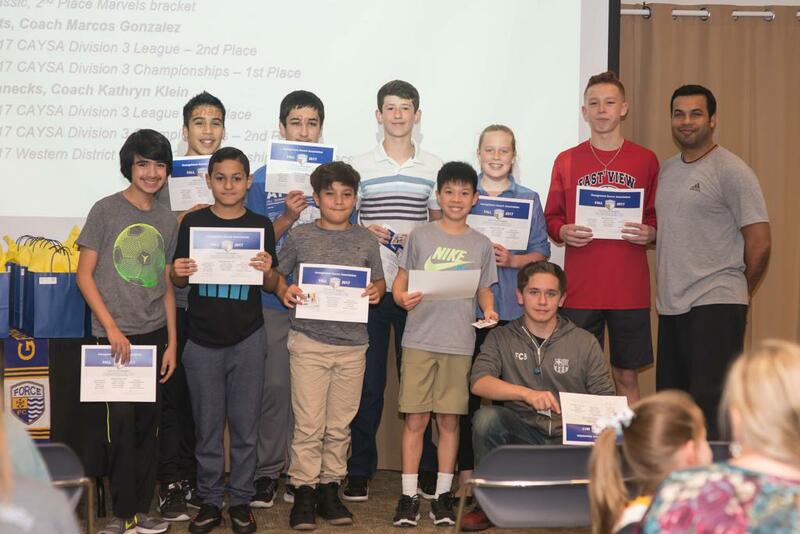 Congrats to our Fall Rec Teams! 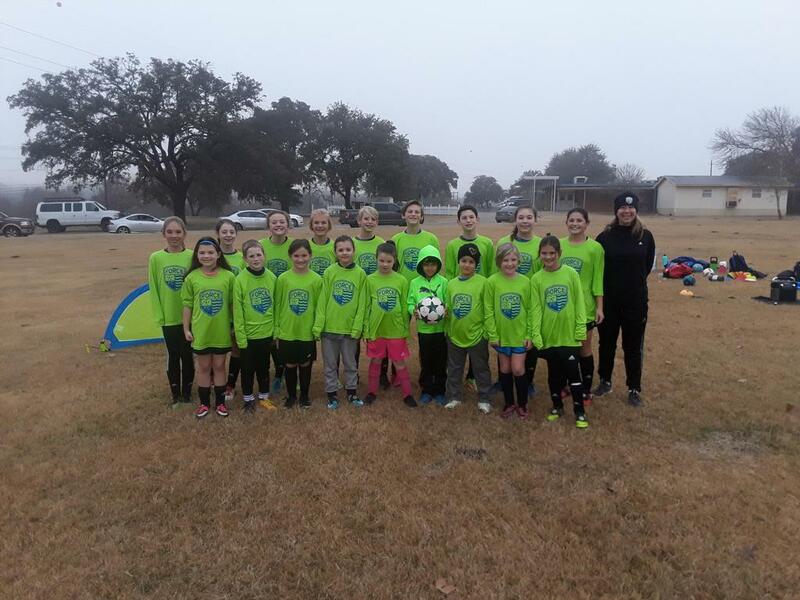 Congrats to a GREAT Winter 2018 Striker/Keeper Camp! 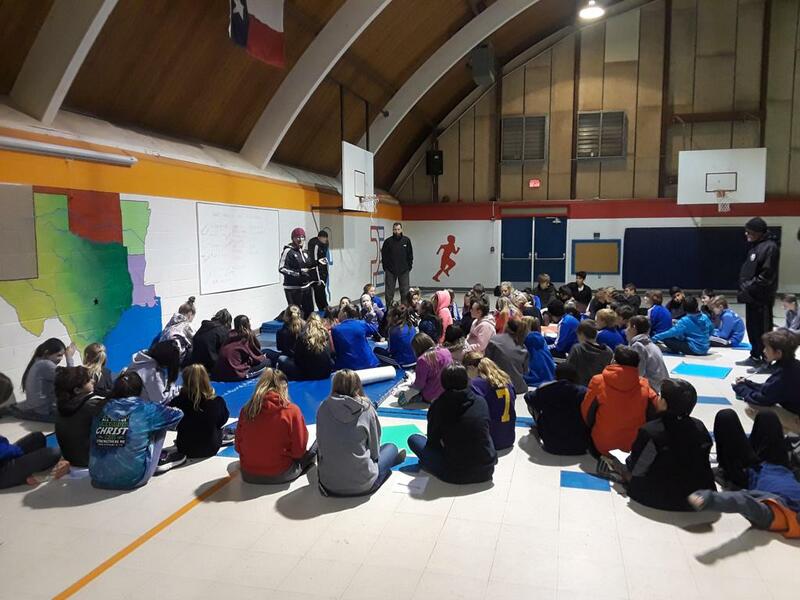 Special thanks to our guest speaker, Dr. Jennifer Knight, sports physiologist. 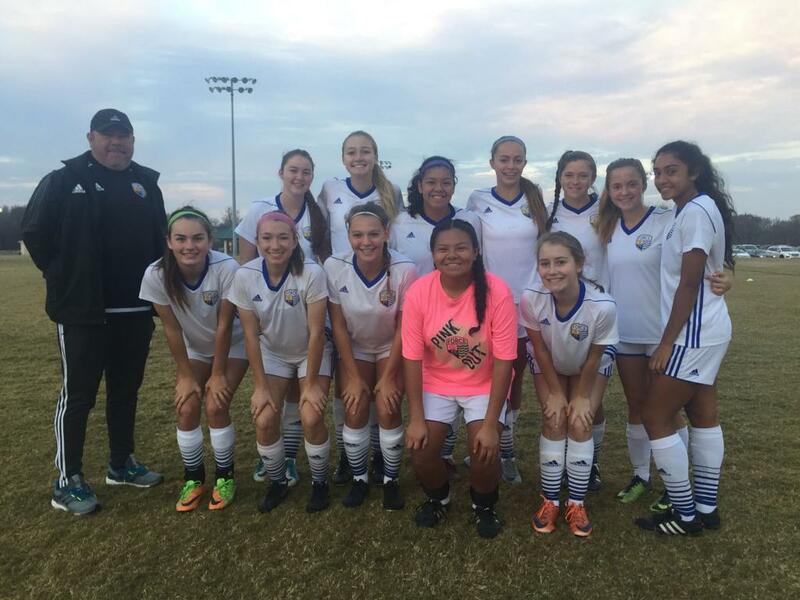 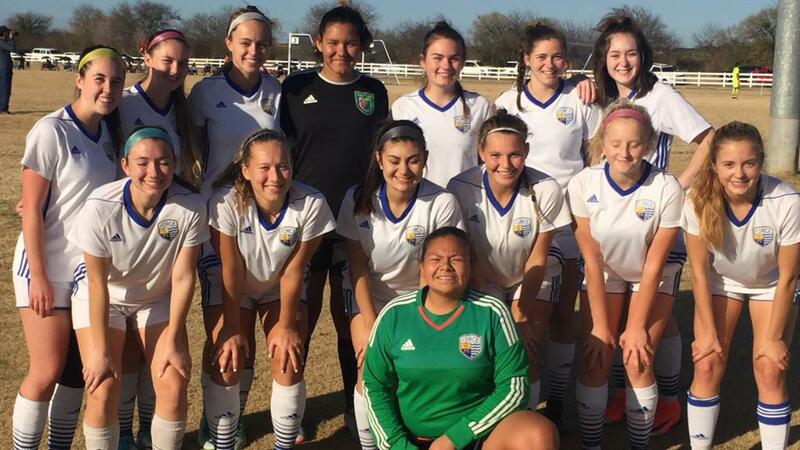 Congratulations to all of our Force FC Select Teams competing at the Sportsource College Showcase! 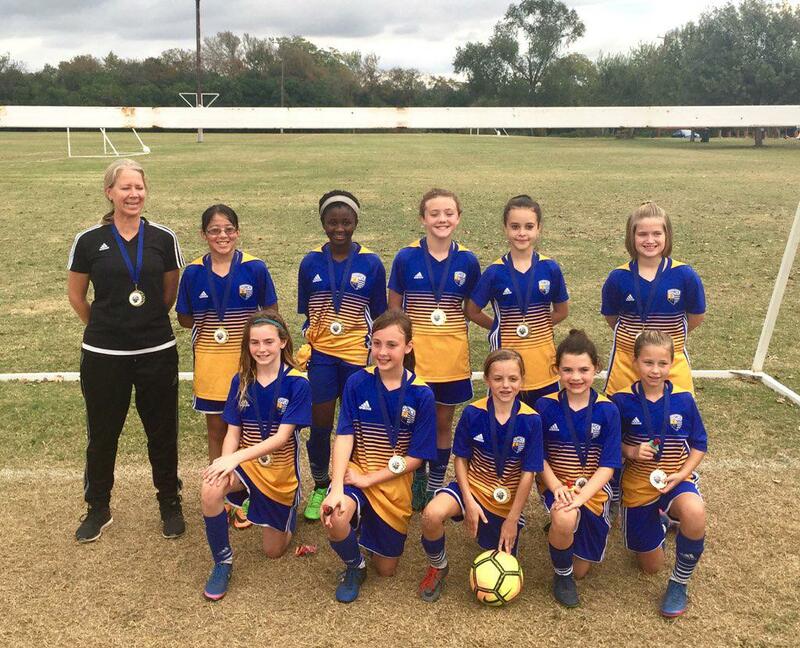 Congratulations to our Fall 2017 GSA Rec & Force FC Select Teams! 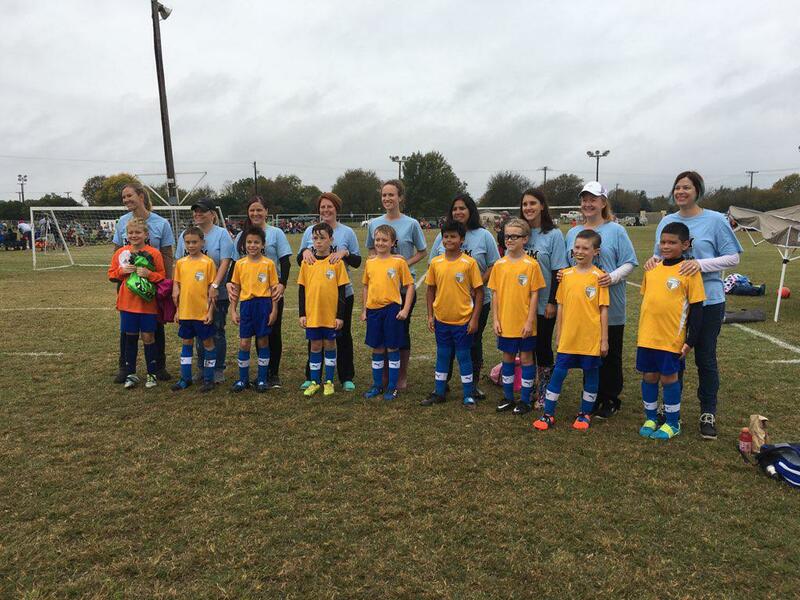 Austin Soccer Foundation Honors Force Family Members! 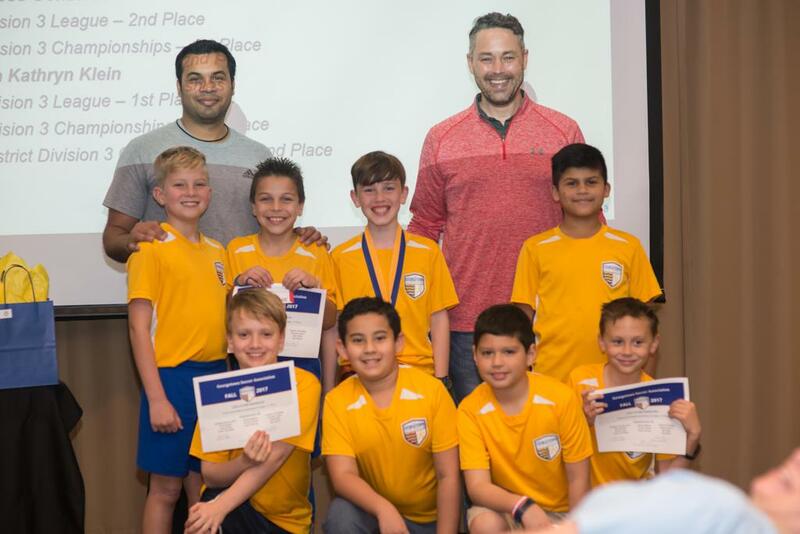 Our own Director of Soccer Wolfgang Suhnholz was honored at the 2017 Austin Soccer Foundation Awards Banquet with a Lifetime Achievement Award for his many contributions to soccer both in the City of Austin and around the world. 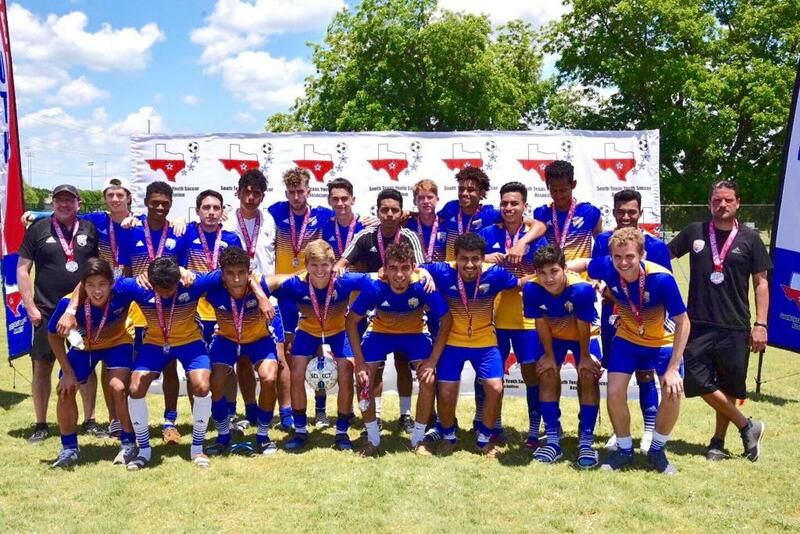 Graduating senior Bryce Box, 98B White & Pflugerville High School, was honored as the male High School Player of the Year. 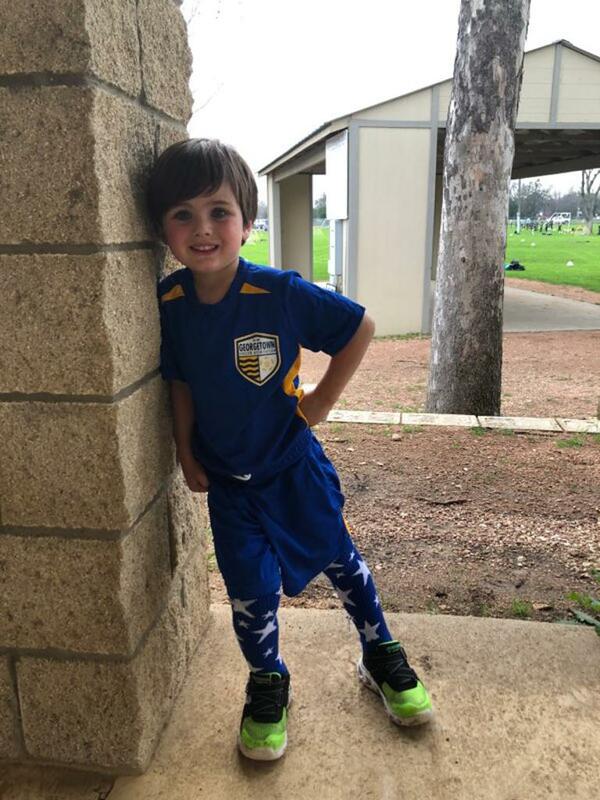 Bryce will be a soccer athlete at UT-Rio Grande Valley this fall. 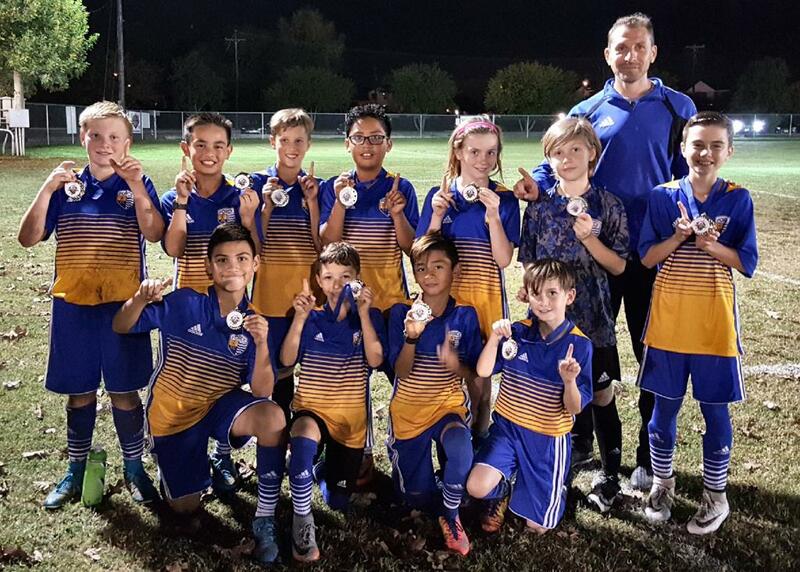 Congratulations to Wolfgang and to Bryce! 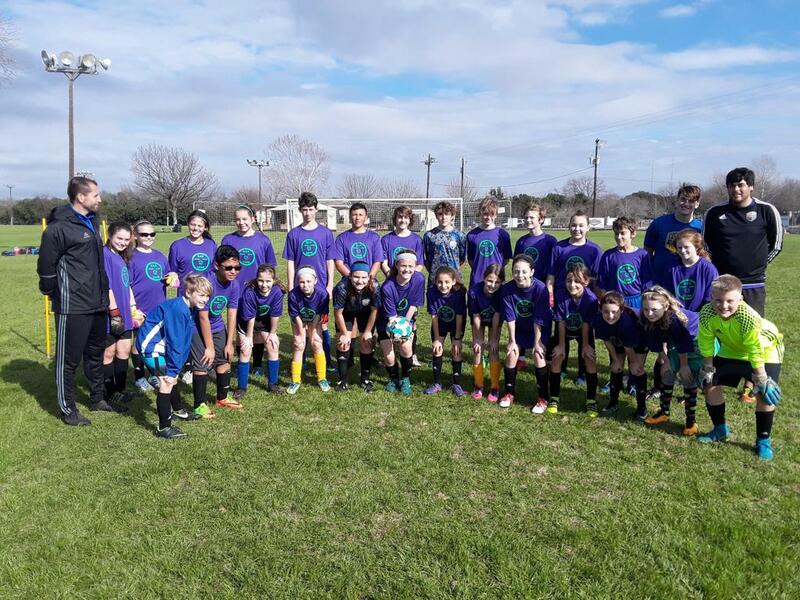 Baylor Scott & White Health Sponsors GSA & Force FC! 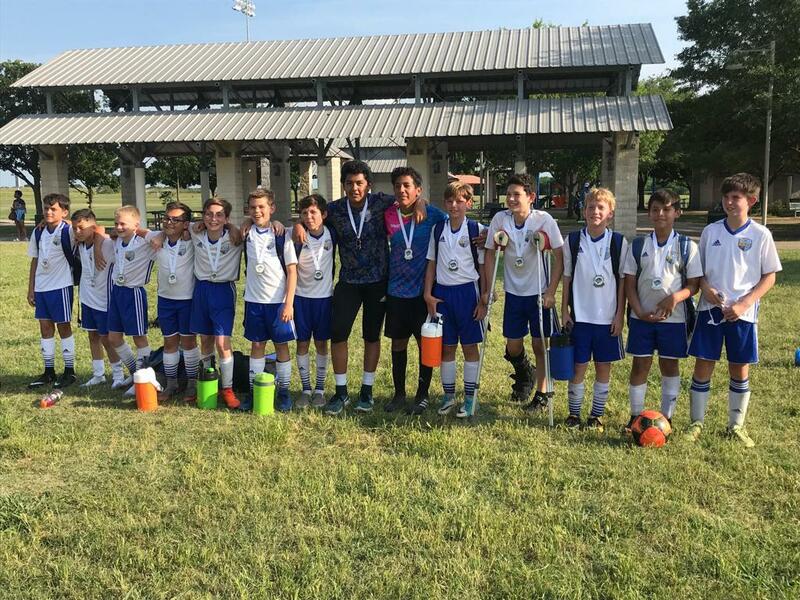 Georgetown, TX - GSA and Force FC are excited to announce a new partnership with Baylor Scott & White Health (BSWH). 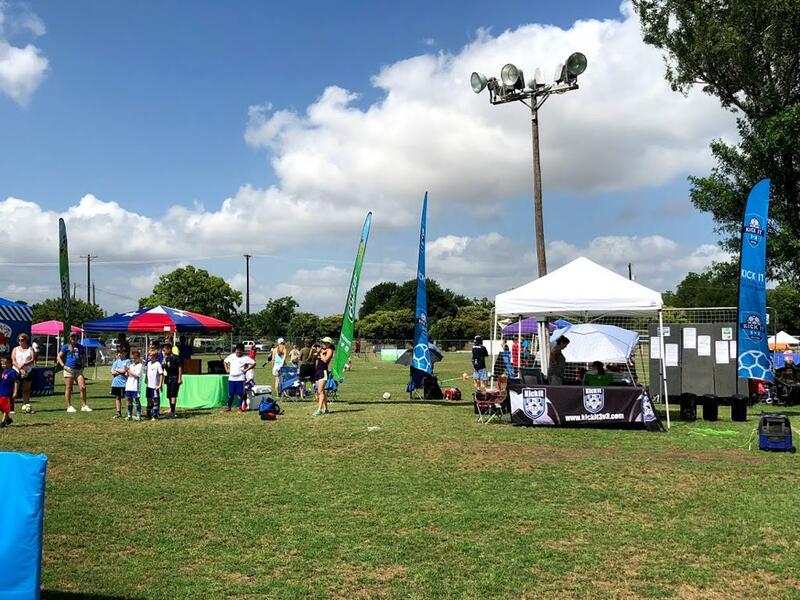 BSWH will provide medical support for GSA & Force FC at club events and will assist the Force FC coaching staff in educating our members about injury recognition and prevention. 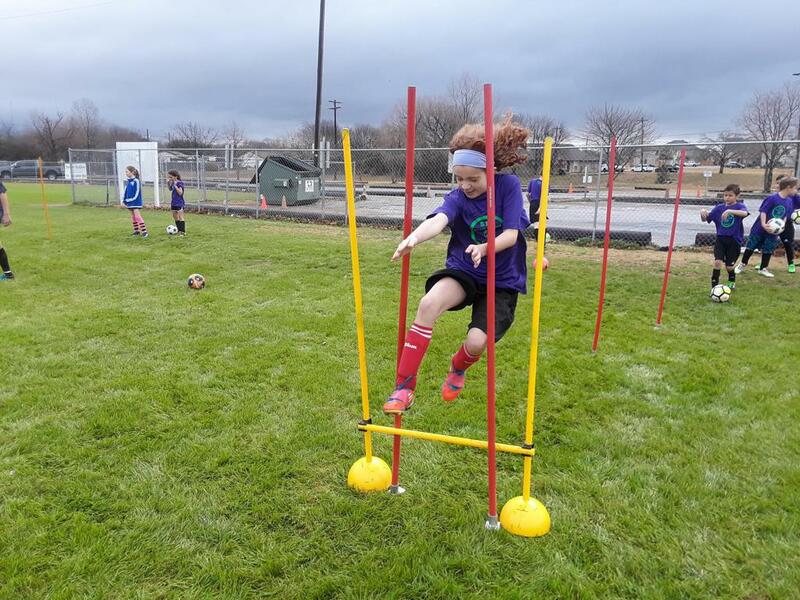 Select players have already benefited from this during their pre-season training. 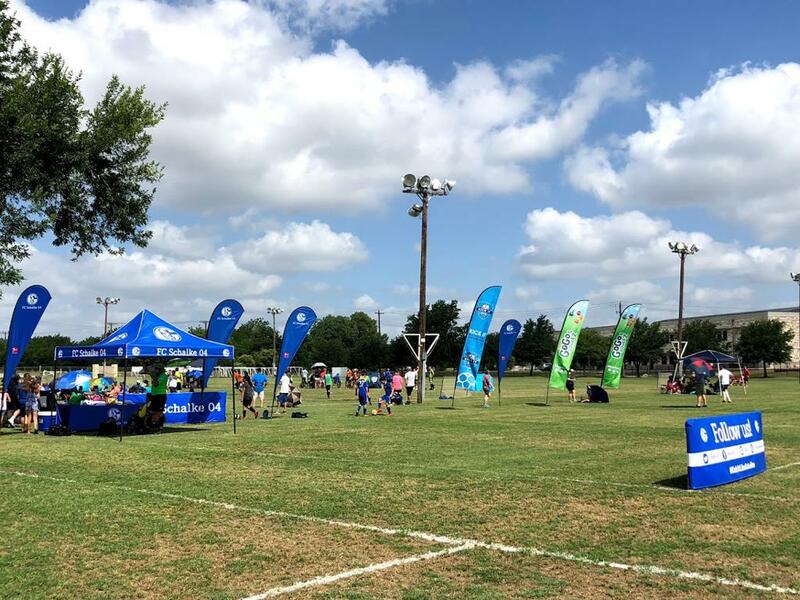 "Baylor Scott & White Health desires to work with community-based organizations to design, deliver, and sustain long-term programs that address identified health needs and engage residents in improving the overall health of the community. 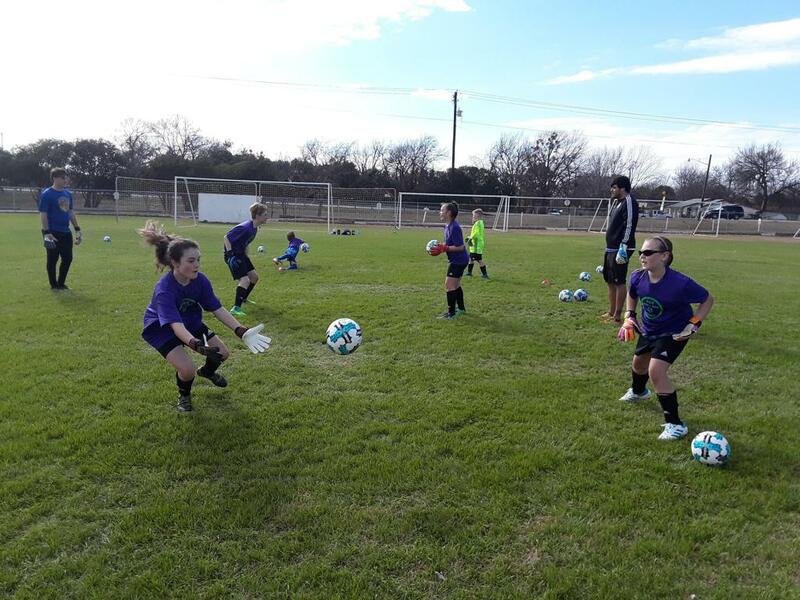 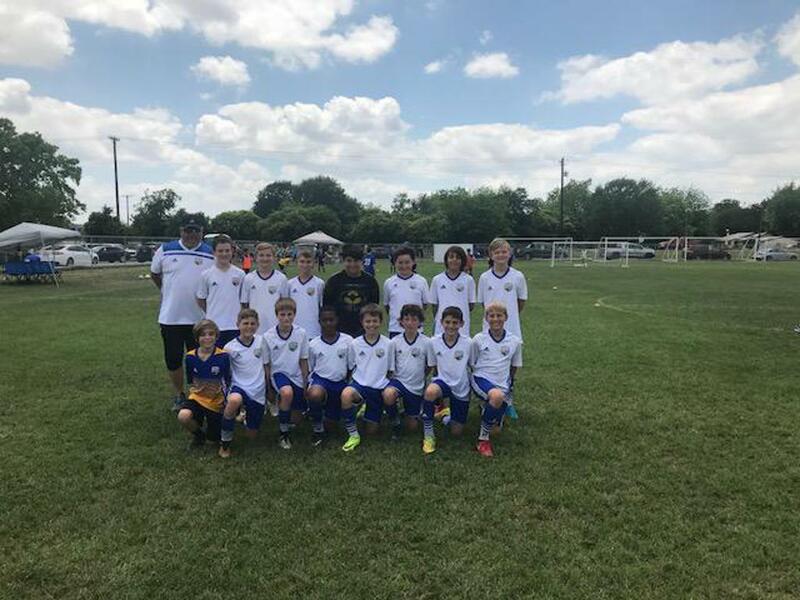 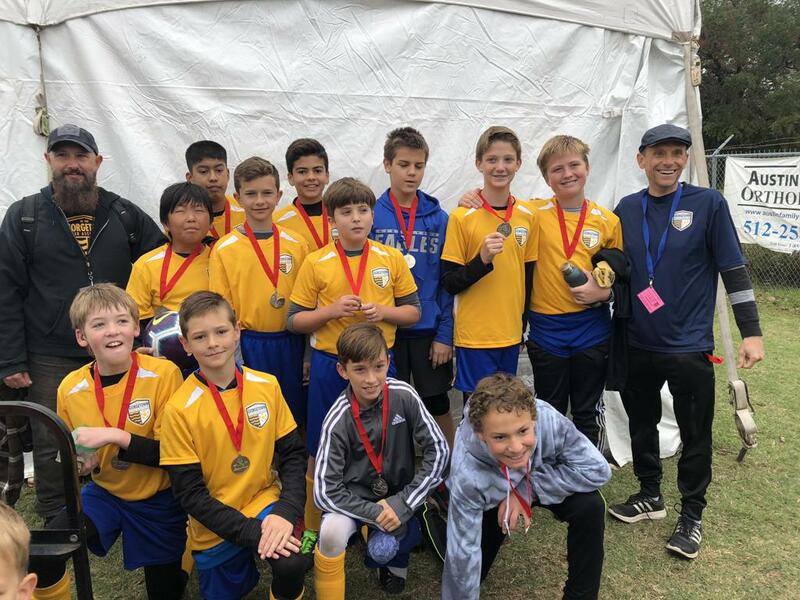 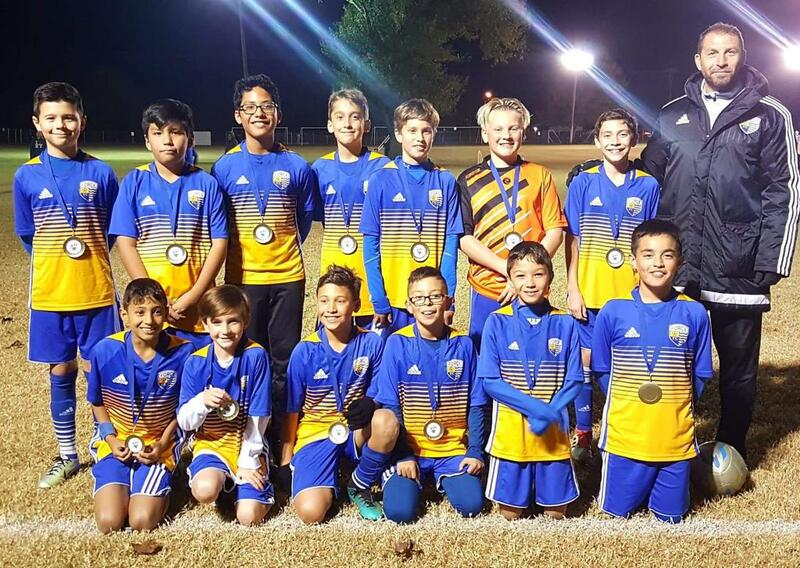 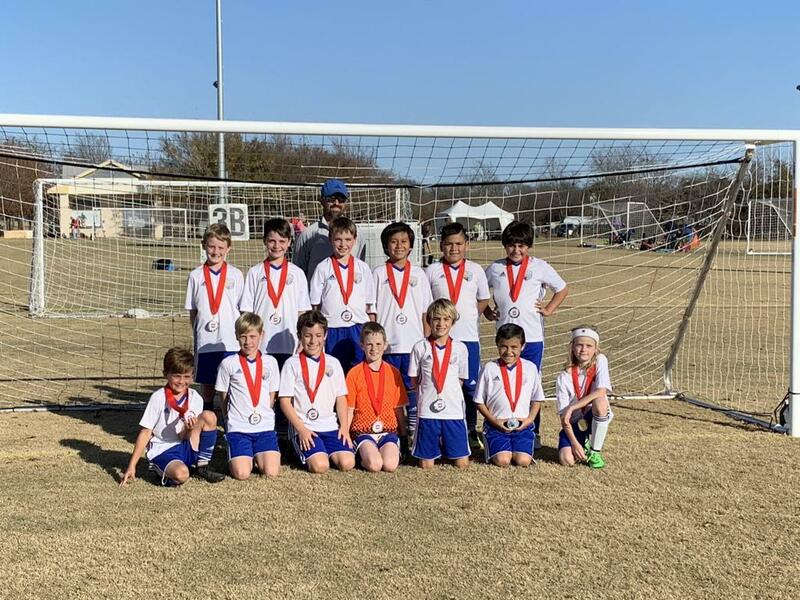 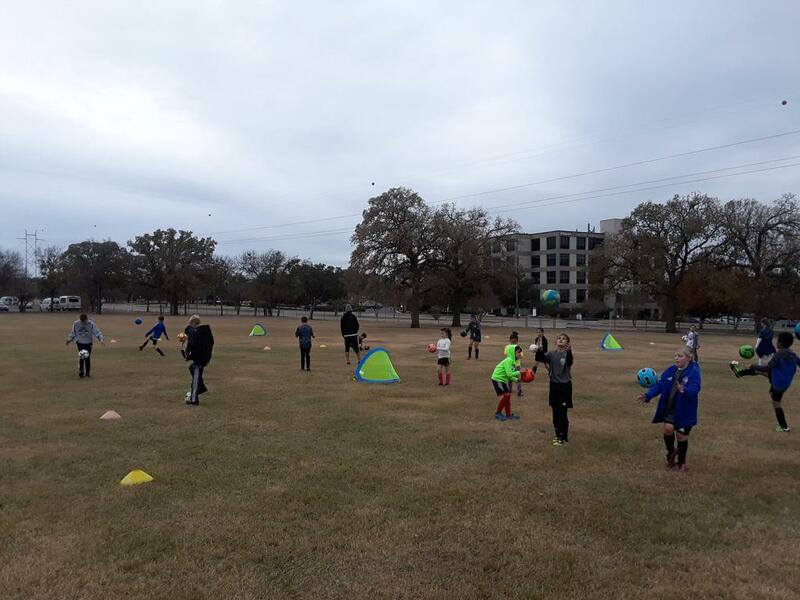 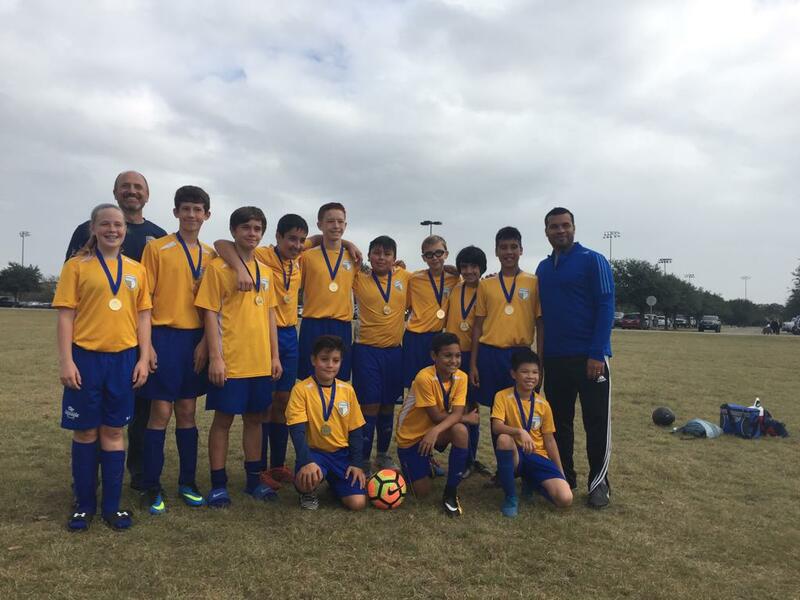 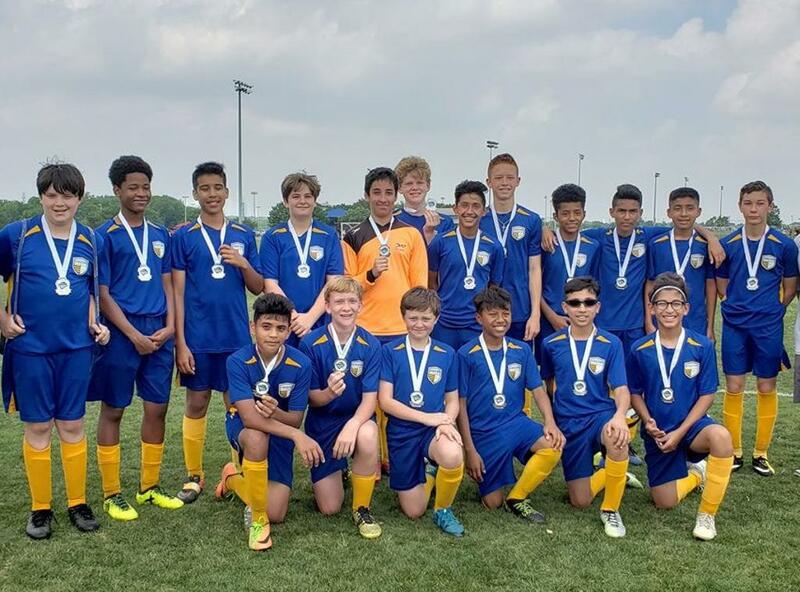 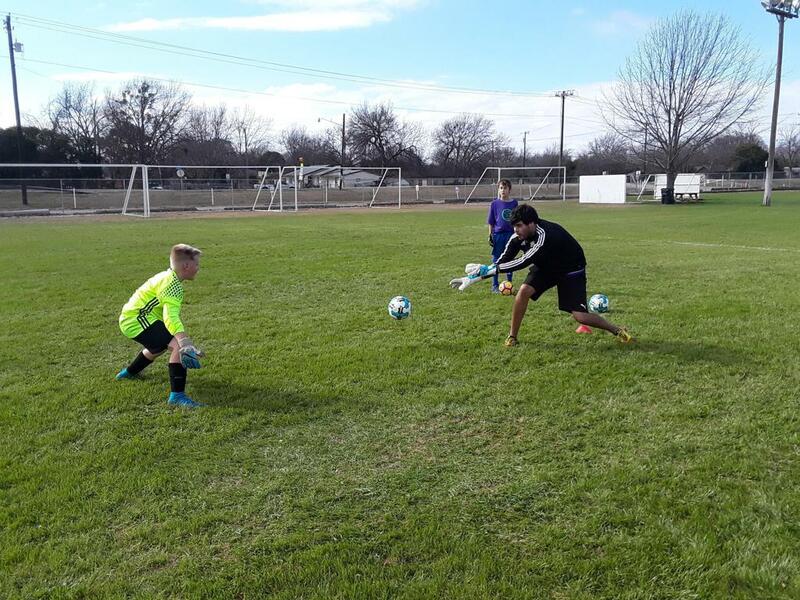 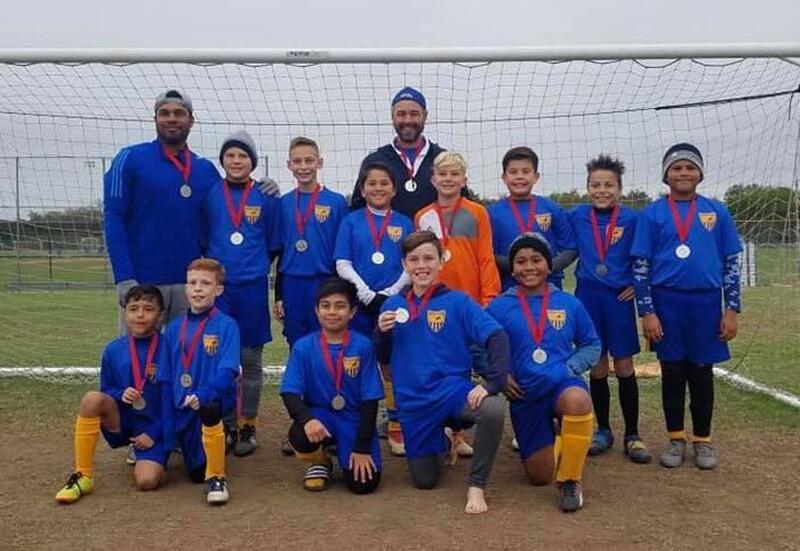 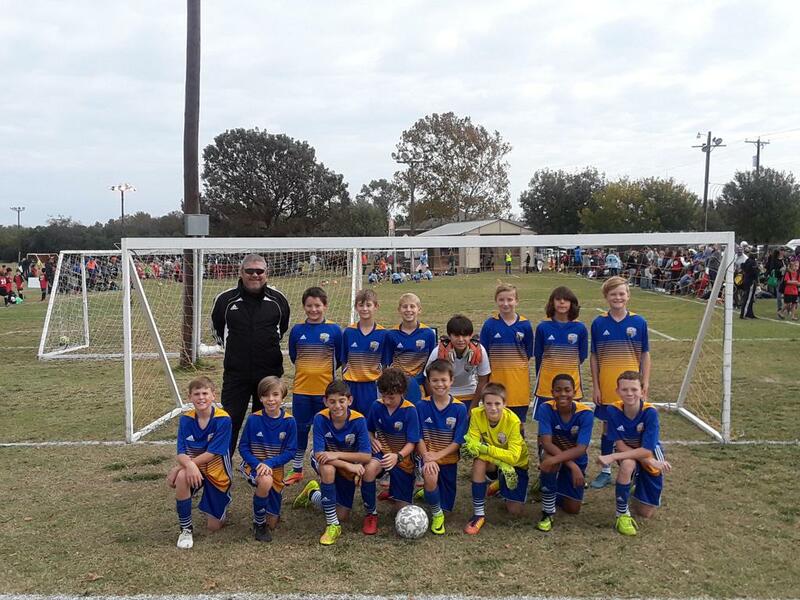 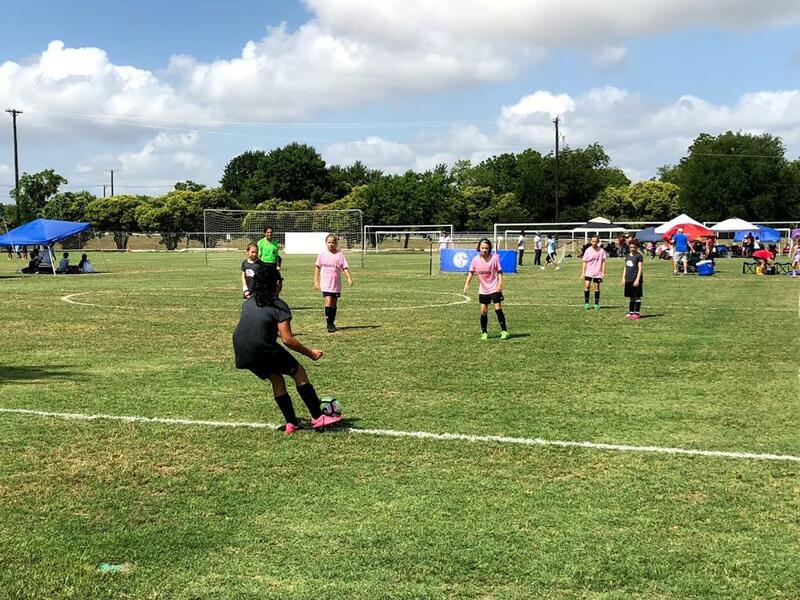 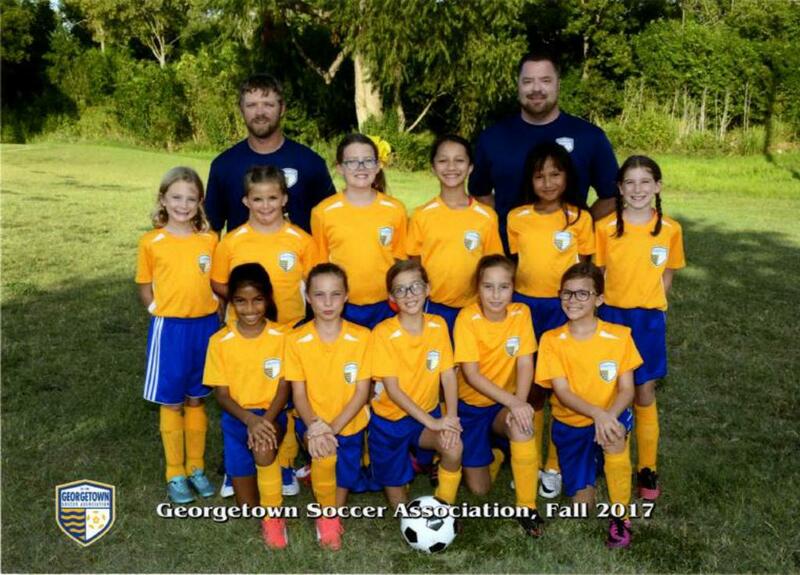 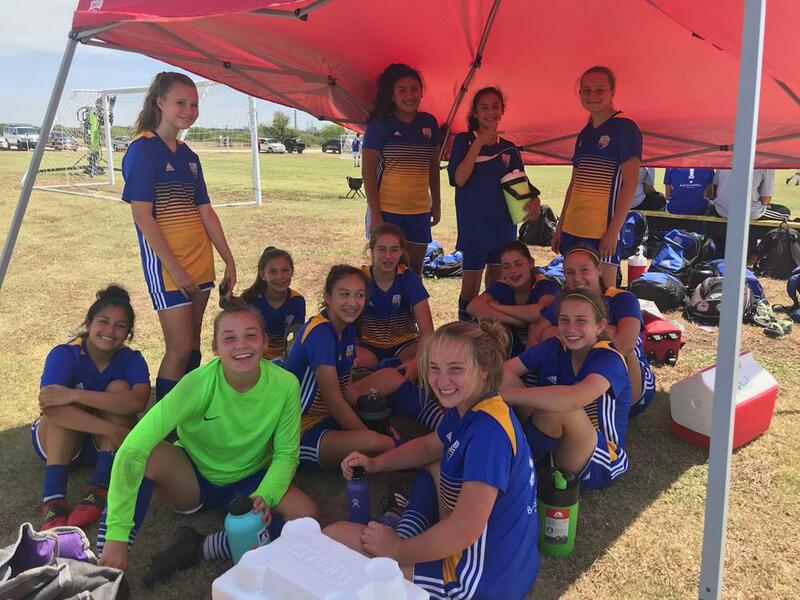 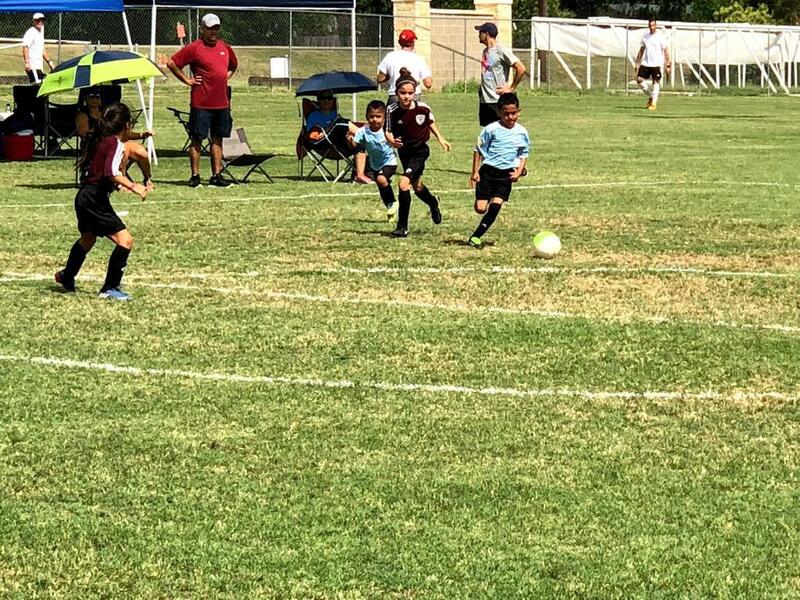 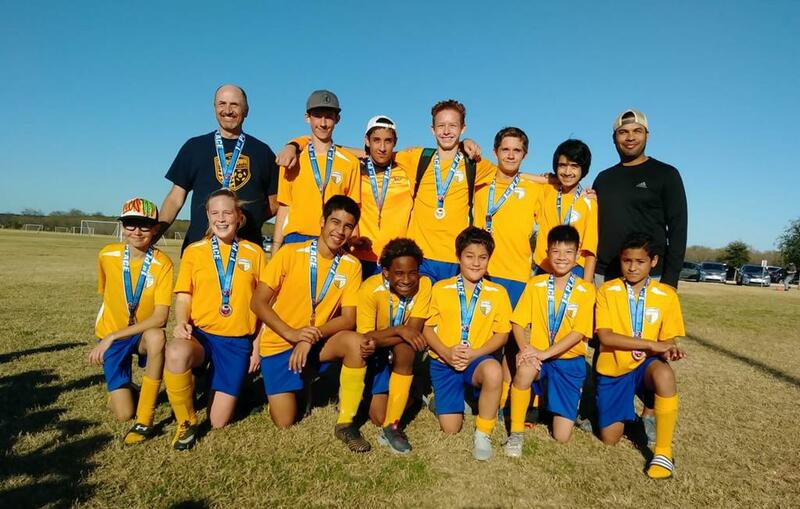 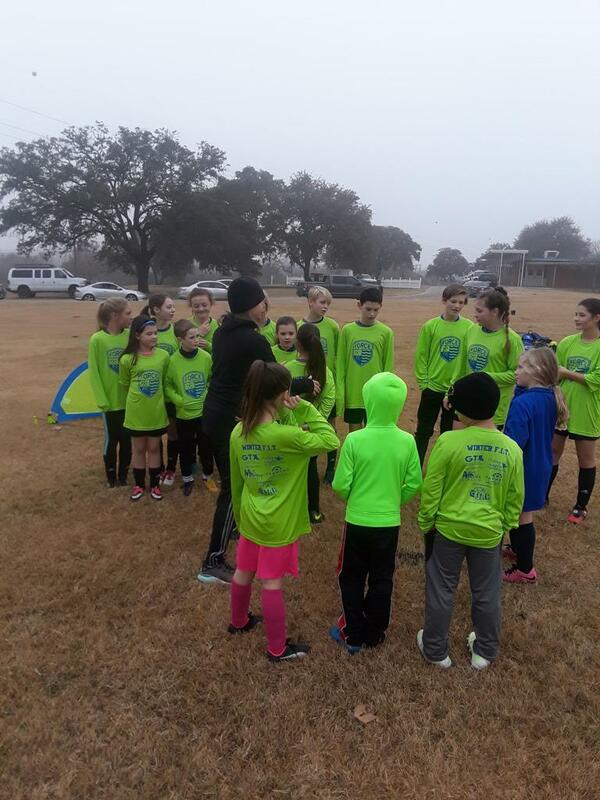 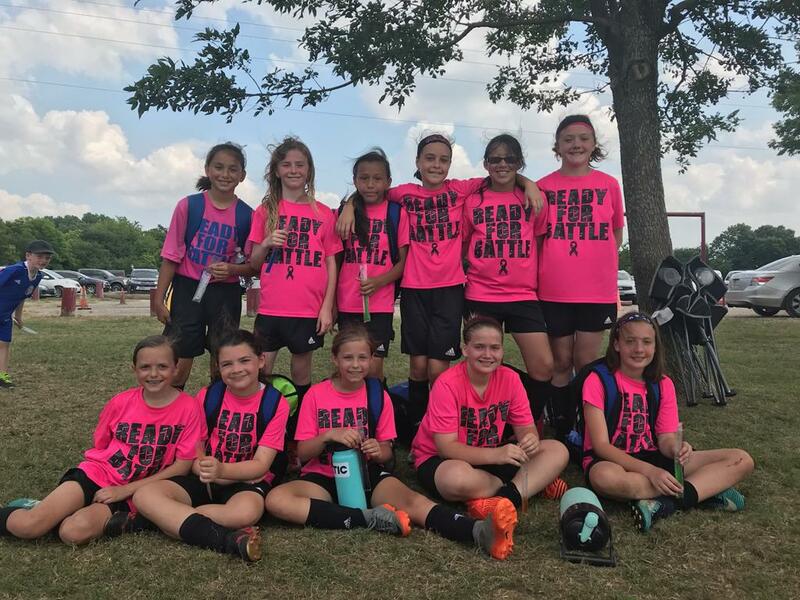 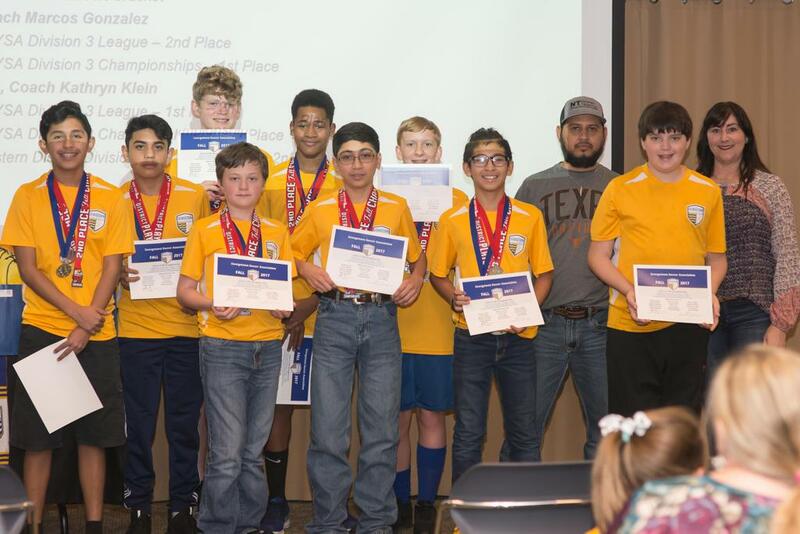 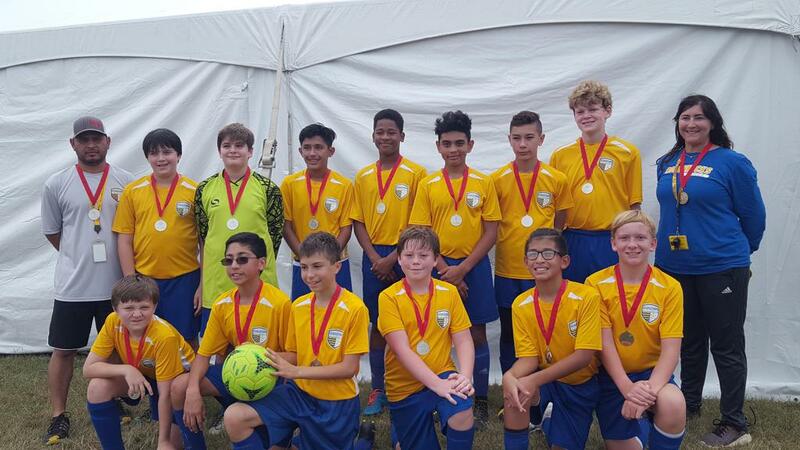 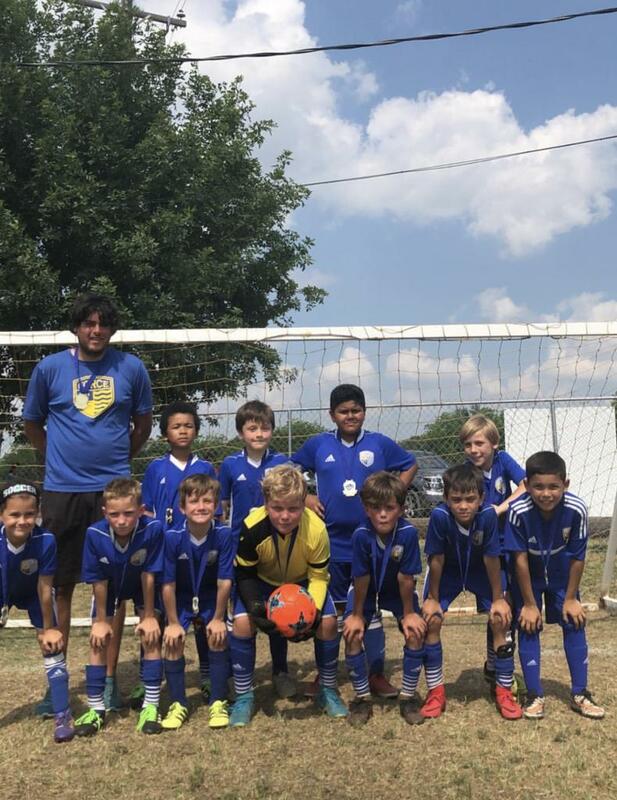 We appreciate the role Georgetown Soccer Association plays in our community and are happy to support its efforts to enhance the lives of those that live in our community" says Tara Stafford, BSWH Director of Community Benefit. 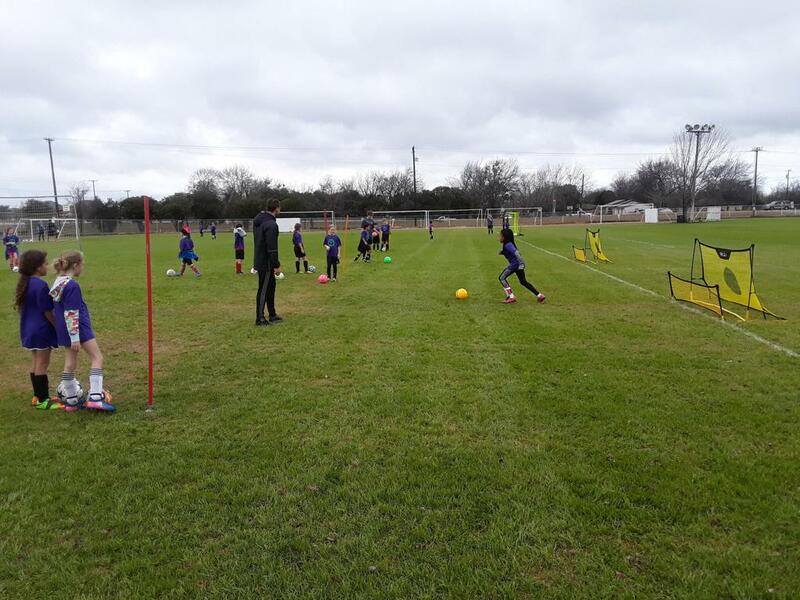 GSA is proud to have over 30 years providing high quality recreational, academy and select soccer to the local community. 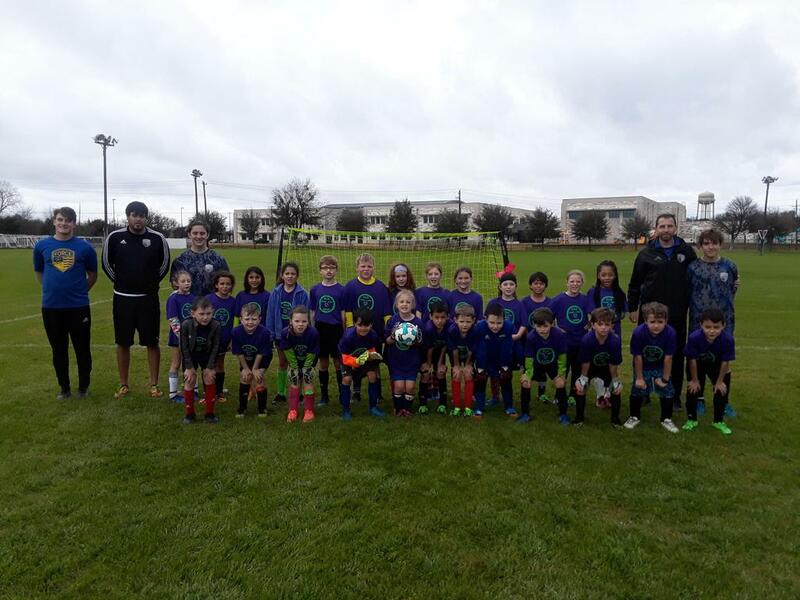 The GSA Force FC and BSWH partnership expands upon this rich history and provides unrivaled opportunities for players at GSA & Force FC. 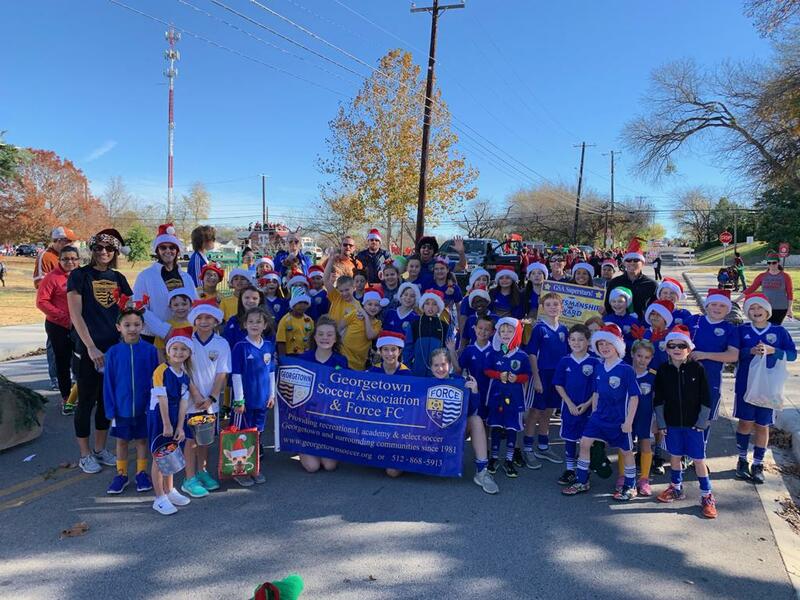 Thank you to all the walkers that showed up to represent GSA/Force in the annual Georgetown Christmas Parade!